In the modern era, we are blessed to have so many marijuana breeders working hard to create strains with incredibly high THC levels. It isn’t unusual to find a strain with a THC of at least 25%. It is a long way from the 4-5% weed we endured back in the 1970s! Alas, with so many new strains on offer, it is all too easy to forget classics like Voodoo. In marijuana terms, Voodoo is a relatively old strain since it was created more than 20 years ago. It is a dank phenotype of a Thai landrace that is believed to have been created in 1997. Its THC content is the subject of fierce debate. 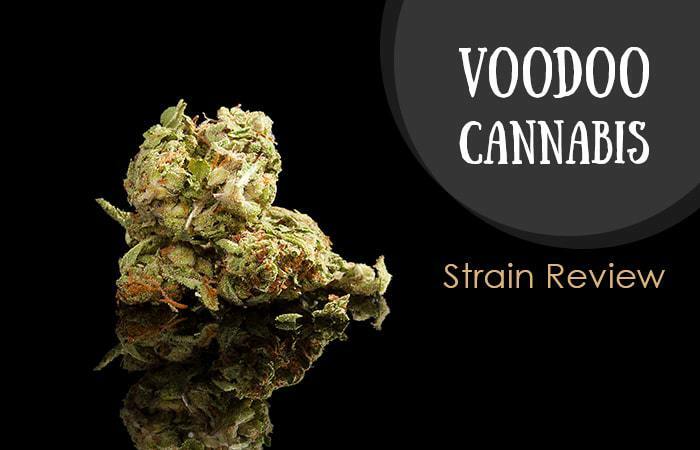 Most experts suggest Voodoo’s THC is in the 8-12% bracket, while others claim certain breeders have created Voodoo with a THC that is almost triple that potency. Its CBD level is about 1%, and it is almost entirely sativa. As soon as you get close to this strain, you will notice the delightful fresh and fruity aroma that compels you to have a sample. The dense, thick nugs carry a dark olive-green color, and the gold and deep purple undertones ensure that Voodoo is one of the most aesthetically pleasing strains you’re likely to find. The furry nugs are laden with thick gold and amber hairs and are coated in gorgeous crystal trichomes, along with thick resin. The nutty and spicy flavor with a vanilla aftertaste is pure bliss and will make marijuana lovers very happy.